Leander Paes-Martina Hingis beat Sania Mirza-Ivan Dodig 4-6, 6-4, 10-8 to clinch Mixed Doubles title. Martina Hingis and Leander Paes take the second set, 6-4. It's all level in the Mixed Doubles Finals match! A match tie-breaker will decide the title! The first game to go to deuce and Mirza/Dodig grab the opportunity with both hands. They lead 6-4 in the final. 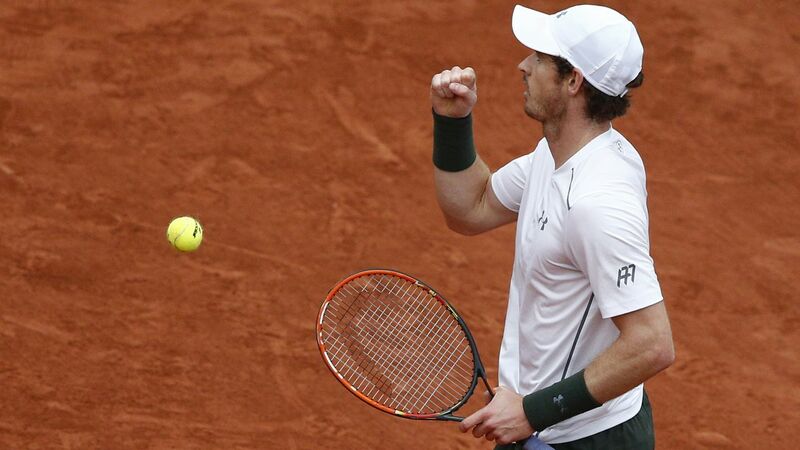 Andy Murray beats Stan Wawrinka 6-4, 6-2, 4-6, 6-2 to enter his first French Open final. Novak Djokovic reaches French Open final with a 6-2, 6-1, 6-4 win over Dominic Thiem. The Serb is one win from being the 3rd man to hold all FOUR major titles at the same time. Murray leads 6-4, 6-2 against Wawrinka. Murray 136-1 after winning first two sets in best of five (only defeat vs Nalbandian at Wimbledon 2005). Murray saves 3 break points, serves out set one, 6-4 over Stan Wawrinka. Very high-quality tennis on Philippe-Chatrier. Djokovic seals the first set, 6-2! The Serb saved the only break point he faced and broke Thiem twice. Serena Williams is through to her fourth French Open and 27th Grand Slam final! 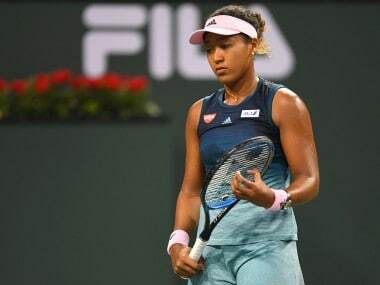 She defeats Kiki Bertens 7-6(7), 6-4 to set up a clash with Garbine Muguruza. 4th seed Garbine Muguruza defeats Sam Stosur 6-2, 6-4 to reach her second Grand Slam final. First at Roland Garros. She awaits the winner of Williams-Bertens. Serena Williams saves two set points, takes opening set tie-break 9-7 in 55 minutes. It's the 18th Grand Slam title for Leander Paes - 10 in Mixed Doubles and 8 in Men's Doubles. Paes/Hingis jumped to a 8-6 lead but Mirza cuts it short with an amazing forehand winner. Back on serve. Hingis matching Mirza forehand to forehand. The Indo-Swiss pair lead 7-5. Now, Hingis/Paes have pulled two points back! 3-3. This is heading to a close finish. Mirza/Dodig have surged ahead in the match tie-break, 3-1. It's back on serve in the second set! Some excellent returning from the Indo-Croat duo as they make it 3-3. Leander Paes and Martina Hingis have turned things around in the second set, leading 3-1. It's on serve in the mixed doubles finals - no breaks yet. 3-all. Players who didn't make the final of all four Majors: Sampras, Borg, McEnroe, Connors & Becker. Andy Murray has just outdone them all today. The Mixed Doubles Final is under way! Martina Hingis and Leander Paes are unseeded and are gunning for a Career Mixed Doubles Slam. Sania Mirza and Ivan Dodig are the second seeds. Big letdown from Stan at the start of the fourth set as he drops serve. Murray takes a 2-0 lead in this set. The show continues on Philippe-Chatrier! As the semi-final hits the two hour mark, defending champion Stan Wawrinka closes out the third set, 6-4. This match isn't over yet! Guess who else is at Roland Garros, enjoying the tennis? Stan trying to get himself pumped here. The third set is still on serve, Murray serving at 4-5. On Phillipe-Chatrier, Wawrinka is hanging by in the third set. It's on serve at 4-3. The World No. 1 will aim for a Career Grand Slam on Sunday! Meanwhile, in the men's doubles, the Bryan brothers are through to the final. Important hold for Thiem and Djokovic will now serve for a place in the final! Some great advice form the elder Murray brother! Hope Andy is listening on court. If Andy maintains his intensity and game style at beginning of this set then he has a great chance to shut out Stan. Andy Murray is up a set and a double break at 4-1 in second on defending champ Stan Wawrinka. Djokovic breaks back against Thiem. Back on serve, 3-2. A bit of a letdown in the focus for Djokovic, whereas Thiem goes all lights out. 3-0 lead for the Austrian in the third set. Djokovic has taken just 22 minutes to race to a two-sets lead. Djokovic is destroying Thiem, leads 5-1 in the second set. Can the 22-year-old stop the slump? Frustrating stuff, being 6-2, 4-1 up and playing brilliantly. Leo DiCaprio spotted at roland Garros as Djokovic goes up by a set and a break. 3-1. All of us right now, trying to follow both the matches! The Djokosmash has made its first appearance! In the second game of the second set. Thiem is being forced to work very hard for every point. Andy Murray gets early blood in his semi-final. Brilliant backhand smash winner and against previous run of play Murray breaks for 2-1. Great tactic by the World No. 1! Seems to be working great so far. Djokovic is eating up the time and space the Thiem backhand gives him when Thiem moves backwards off deep balls. Dropshots, net approaches..
Ansy Murray vs Stan Wawrinka is also under way. The opening two games took ten minutes! Wawrinka and Murray trying to kill each other before the final. 2nd game over 10 minutes already. 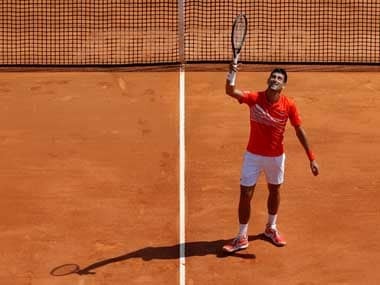 Preview: Novak Djokovic, fresh from breaking the $100 million prize money barrier, aims for a place in a fourth French Open final Friday with fans handed the chance to watch the world number one for just $22. After a rain-ravaged tournament saw only two hours of play on Monday and Tuesday, Roland Garros organisers have been battling to get back on schedule. Usually, just the men's semi-finals are played on the second Friday but this year all four semi-finals in the men's and women's singles are being staged with two on the Philippe Chatrier Court and two uniquely on the Suzanne Lenglen arena. That has led organisers to offer 8,000 seats at 20 euros ($22.3) for Lenglen where Djokovic will face Austria's Dominic Thiem after Samantha Stosur and Garbine Muguruza have completed the first women's last-four clash. In stark contrast, on Saturday and Sunday, the women's and men's finals will respectively be held, as tradition demands, on Philippe Chatrier. Tickets for those matches, where Serena Williams could equal the Open era majors record of 22 titles and Djokovic can win a first Paris title and complete the career Grand Slam, were being sold late Friday for 555 euros ($620) and 1,330 euros ($1,483). Roland Garros generosity was no doubt encouraged by the sight of a two-thirds empty Suzanne Lenglen court on Thursday where Thiem defeated David Goffin to make his first semi-final at a major and Kiki Bertens saw off Timea Bacsinszky to reach a maiden women's last-four match-up. Temperatures at a shivering 12 degrees did little to fill spaces and similar autumnal gloom is forecast for Friday. World number one Djokovic, a three-time runner-up, is still seeking a first Roland Garros crown to secure a career Grand Slam. The 29-year-old top seed, who already holds the Wimbledon, US and Australian Open titles, will start as overwhelming favourite against Thiem who he has defeated in straight sets in their only two career meetings. Djokovic will be playing in his 30th Grand Slam semi-final and eighth in Paris while Austrian 13th seed Thiem is into his first at the majors. Djokovic won the first of his 11 majors at Australia in 2008 as a 20-year-old. Thiem, 22, has yet to make the breakthrough to a final at the Slams. But he is one of the in-form players in 2016 with his 41 match wins second only to Djokovic's 42. He also has a season-best 25 wins on clay, a run which included a victory over Roger Federer in Rome and the title in Nice. On Chatrier, Andy Murray has history on his mind as he aims to be the first British man since Bunny Austin in 1937 to reach the final when he faces defending champion Stan Wawrinka. Murray won't under-estimate Wawrinka who stunned Djokovic in last year's final. The 31-year-old Swiss is the oldest semi-finalist in Paris since Jimmy Connors in 1985. Murray leads their head-to-head 8-7 but Wawrinka has won their last three meetings. The third seed has also won both their tour claycourt meetings -- in Rome in 2008 and Monte Carlo in 2013. Also on Chatrier, 34-year-old Serena Williams, who is aiming to be the oldest ever women's champion on Saturday, faces the unexpected challenge of unseeded Bertens. Serena almost saw her hopes of winning a record-equalling 22nd Grand Slam title in Paris blasted out of the water in a nervy 5-7, 6-4, 6-1 quarter-final win over lowly-ranked Yulia Putintseva. The other semi-final sees Stosur, 32, looking to return to the final for the first time since 2010 when she faces rising Spanish player Muguruzu, last year's Wimbledon runner-up.